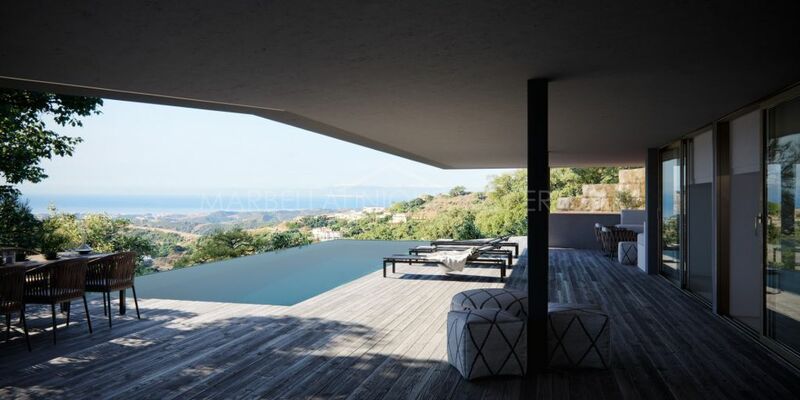 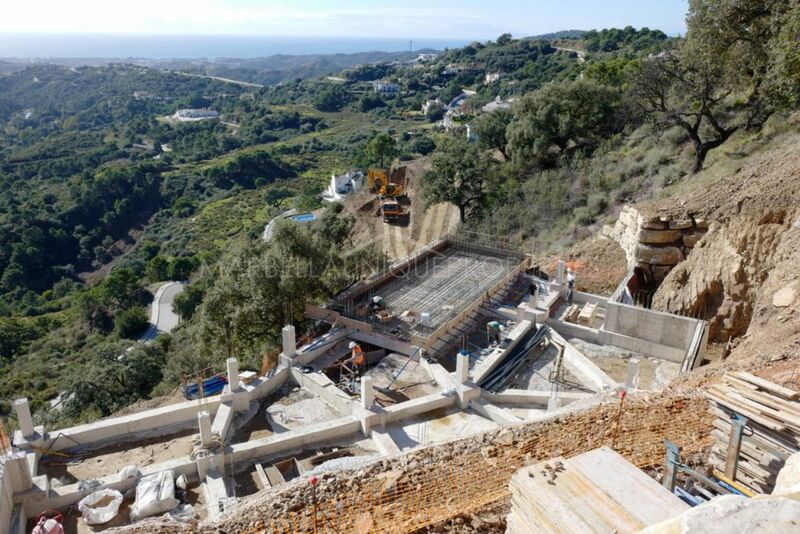 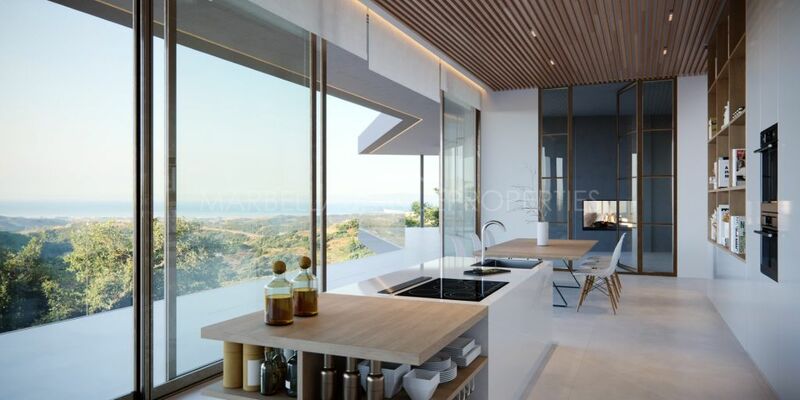 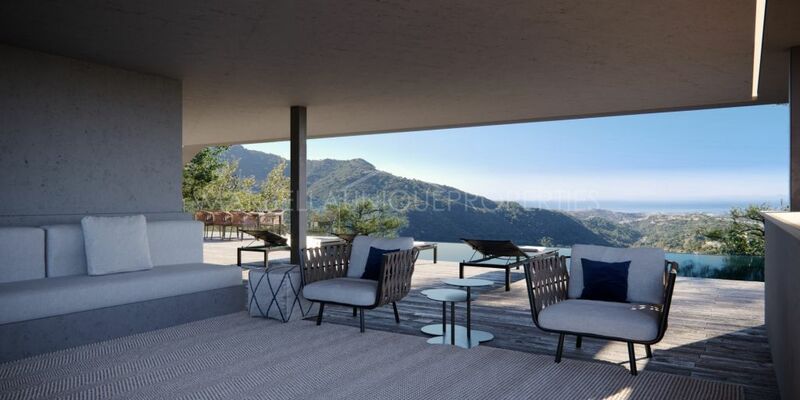 This 4 bedroom “penthouse” style new build villa is distributed over 2 floors and offers panoramic views to the coastline, picturesque valley and Monte Mayor castle. 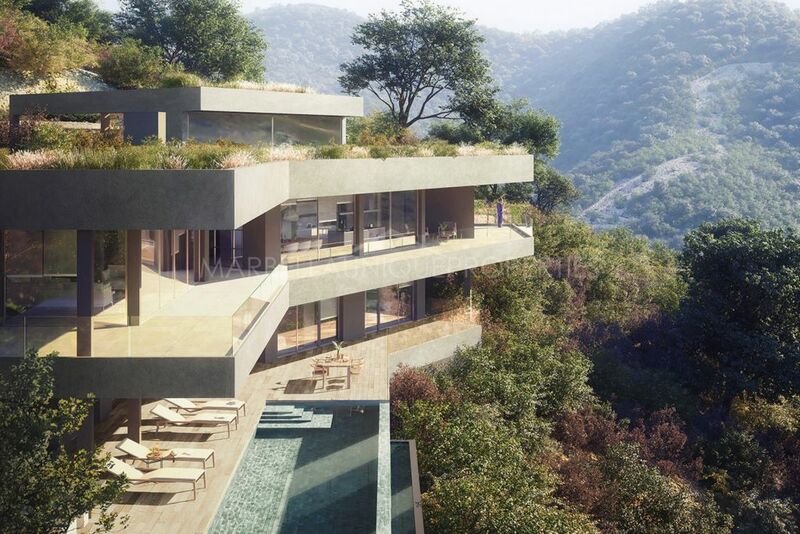 The beautiful property is designed with emphasis on blending into the natural surroundings and offers low maintenance. 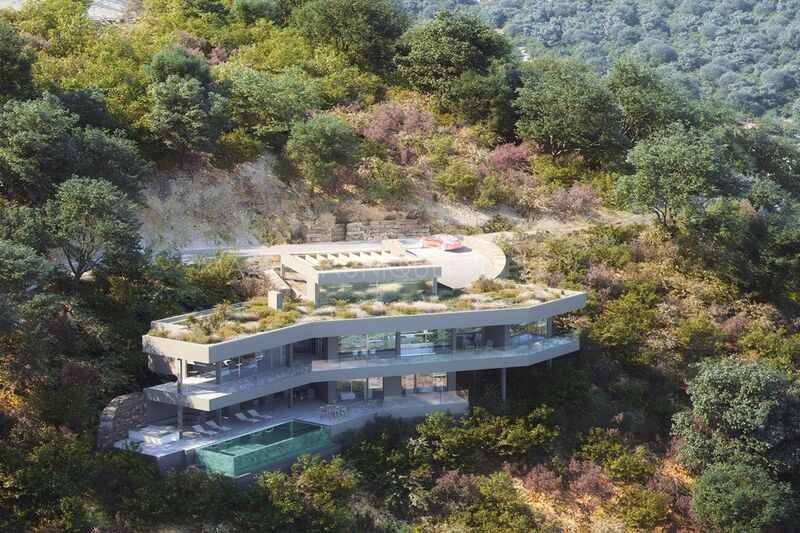 One of the key features of the villa is the green roof, covered with the autochthonous plants found in the Monte Mayor valley. 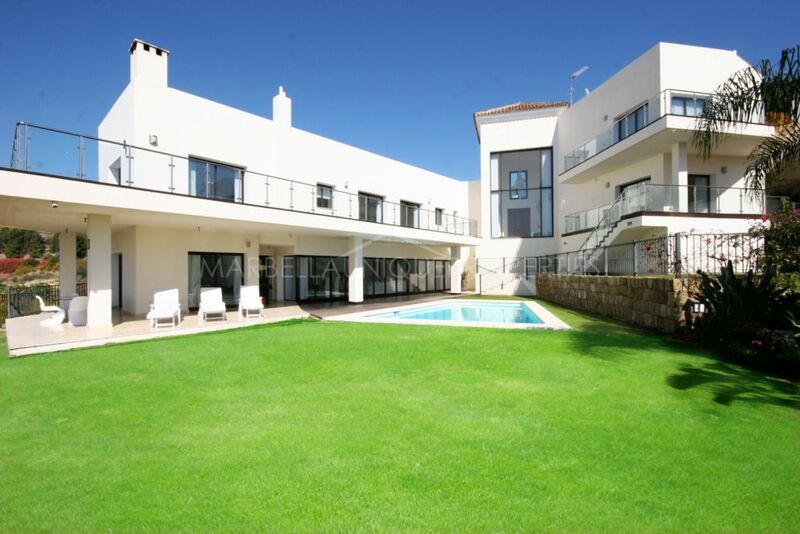 The property boasts a carport at the entrance and the elevator with access to all the floors. The upper floor boasts a spacious living area with direct access to the covered terraces with spectacular sea views. 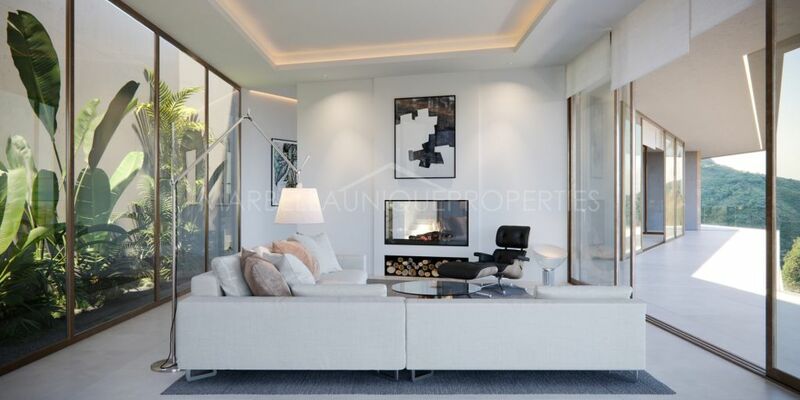 It consists of a living room with plenty of natural light, a double chimney and access to the patio; an open plan, fully fitted kitchen with dining area. 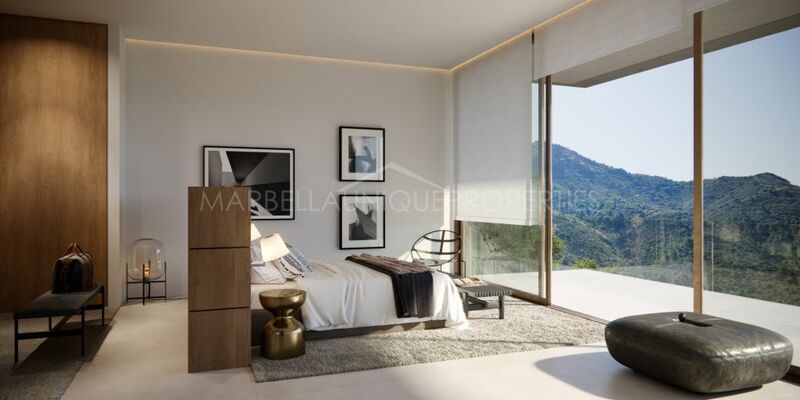 The upper floor also boats an en-suite master bedroom with sliding doors opening to the terrace and a guest toilet. 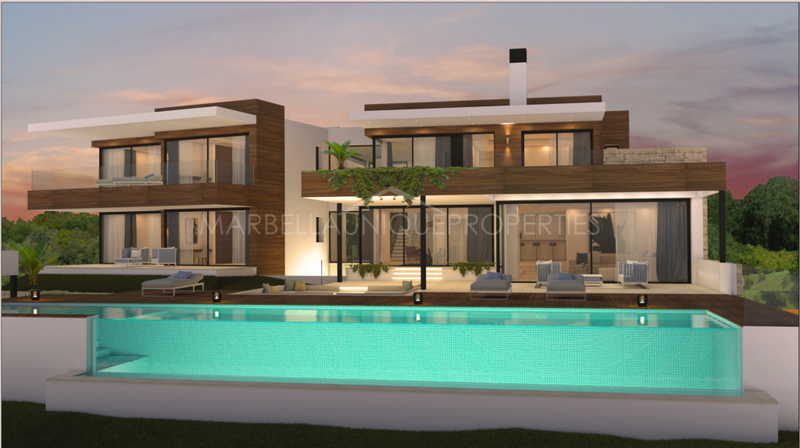 The lower floor boasts a social area, 3 en-suite guest bedrooms, lounge terrace with exterior kitchen and the bar. Terraces made of natural wood and an infinity swimming pool finished with dark green tiles blend with natural surroundings. 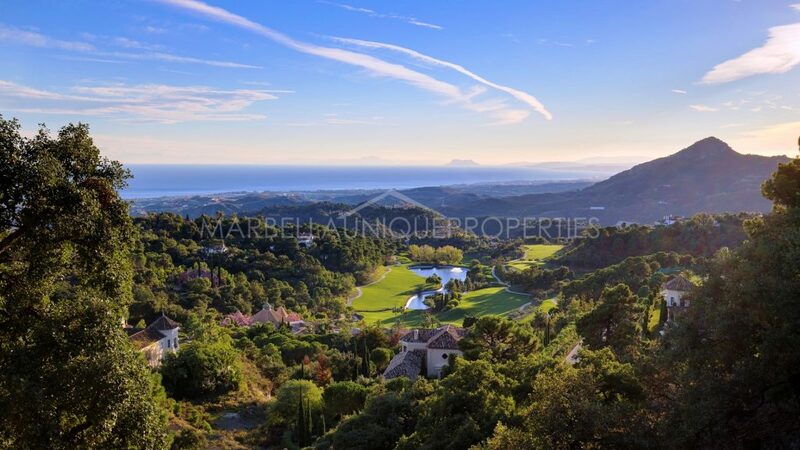 Set in a gated golf community of Monte Mayor Country Club being only 15 minutes’ drive from all amenities and facilities whilst being surrounded by nature and golf. 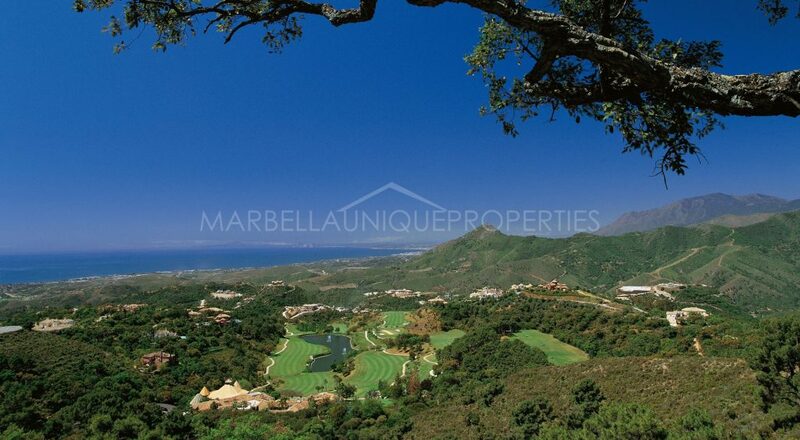 Please, send me more information about ref 239-01355P, Villa in Monte Mayor, Benahavis or similar properties.